Case Studies using Mitochondrial DNA–Update – Lois Abromitis Mackin, Ph.D. In 2017 I published a blog post highlighting published case studies using mitochondrial DNA. It was updated in early 2019, and now it’s time for another update! Henningfield, Melinda Daffin. “A Family for Mary (Jones) Hobbs Clark of Carroll County, Arkansas.” National Genealogical Society Quarterly 107 (March 2019): 5-30. Mills, Elizabeth Shown. “Testing the FAN Principle Against DNA: Zilphy (Watts) Price Cooksey Cooksey of Georgia and Mississippi.” National Genealogical Society Quarterly 102 (June 2014): 129-152. Elizabeth has made the article available on her Historic Pathways website here. Diamond, Lara. “mtDNA SUccess! !” Lara’s Jewnealogy, 13 January 2019. https://larasgenealogy.blogspot.com/2019/01/mtdna-success.html. Estes, Roberta. “Dorothy Durham (1663-after 1725), No Shrinking Violet, 52 Ancestors #164.” DNA eXplained – Genetic Genealogy, 10 June 2017. https://dna-explained.com/2017/06/10/dorothy-durham-1663-after-1725-no-shrinking-violet-52-ancestors-164/ : 2017. This post, along with the next one, shows how mtDNA could potentially be used as part of the research on a very complex colonial Virginia case. Roberta’s “52 Ancestors” series contains many additional examples and provides great illustrations of how all of us should include actual or potential DNA evidence as part of our exhaustive research. Estes, Roberta. “Dorothy Durham’s Parents and the Mysterious William Smoot, 52 Ancestors #165.” DNA eXplained – Genetic Genealogy, 25 June 2017. https://dna-explained.com/2017/06/25/dorothy-durhams-parents-and-the-mysterious-william-smoot-52-ancestors-165/ : 2017. Estes, Roberta. “Mitochondrial DNA Bulldozes Brick Wall.” DNA eXplained – Genetic Genealogy, 10 January 2019. https://dna-explained.com/2019/01/10/mitochondrial-dna-bulldozes-brick-wall/?fbclid=IwAR2NuHHQmUgS2qg004cb77OKI9bU7p9HSmIGh4I4LQn1dVa-DEqyrMo8Lpw. This case illustrates so much about good genealogy–collaborating with other researchers, integrating DNA evidence with documentary research, analysis and correlation of evidence! Russell, Judy G. “Oh, Mama… a Use for mtDNA.” The Legal Genealogist, 12 February 2012. http://www.legalgenealogist.com/2012/02/12/oh-mama-a-use-for-mtdna/ : 2017. This post includes a mini-case where Judy used mtDNA to refute a claim that her ancestor Wilmoth Gentry was Native American and show that she was not the mother of a potential child. Russell, Judy G. “DNA Resolutions for 2019.” The Legal Genealogist, 20 December 2018. https://www.legalgenealogist.com/2018/12/30/dna-resolutions-for-2019/. This post describes Judy’s plan for using mitochondrial DNA to determine whether her grandmother Margaret Battles was the daughter of William Battles’ first wife Kiziah Wright or his second wife Ann Jacobs. Mills, Elizabeth Shown. “FAN + GPS + DNA: the Problem-Solver’s Great Trifecta.” BCG [Board for Certification of Genealogists] Skillbuilding Presentations (2016), online video. 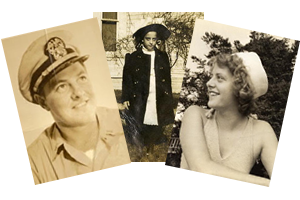 Available to subscribers in the Legacy Family Tree Webinars webinar library. https://familytreewebinars.com/elizabethmills : 2017. Russell, Judy G. “DNA and the Hidden Half of the Family.” Streaming video or MP3 download. PlaybackNow. National Genealogical Society Educational Recordings, 2017 Raleigh. http://www.playbackngs.com/ngs-2017-family-history-conference/7770-t242 : 2017. Smolenyak, Megan Smolenyak. “DNA Stories: a Tale of Two Sisters Featuring Bill Hurst.” Video. Uploaded 21 June 2013. YouTube. https://www.youtube.com/watch?v=Jv8gUd0FpXI&feature=youtu.be : 2017/. Southard, Diahan. “DNA: the Glue that Holds Families Together.” Rootstech 2017 recorded video. https://www.rootstech.org/video/dna-the-glue-that-holds-families-together : 2019. “Success stories.” International Society of Genetic Genealogy, Wiki, 21 May 2017. https://isogg.org/wiki/Success_stories : 2019. Blaine T. Bettinger, Nancy Custer, Roberta Estes, and Judy G. Russell suggested resource ideas for my original 2017 post. Sharon Mayne Withers called my attention to Roberta Estes’ new blog post, and Roberta’s blog pointed me to the Historic Pathways location for Elizabeth Shown Mills’ Zilphy article. Linda Therkelson pointed out Diahan Southard’s presentation, and Diahan sent the link. Jim Barry posted in the International Society of Genetic Genealogy (ISOGG) Facebook group, and Lara Diamond provided the link to her 2019 blog post. Katherine Borges posted the link to the ISOGG wiki.